Registration for 2016 Sports Camps will open Monday, March 28. This year, there are 18 programs in seven sports for youth of all ages. Best of all, students learn from renowned coaches and practice in our state-of-the-art athletics facilities. 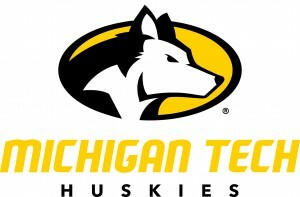 For complete details and registration information, visit Michigan Tech Sports Camps. 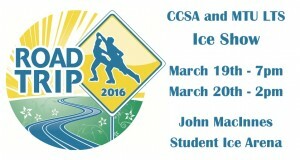 – Saturday and Sunday, take in the Spring Ice Show, Road Trip, featuring skaters from the Copper Country Skating Academy and Michigan Tech Learn to Skate program. 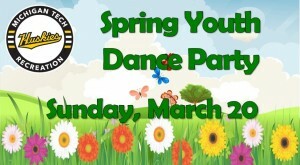 – Join Youth Dance this Sunday, March 19, for arts and crafts, an Easter egg hunt and fun dance-related games at the Spring Youth Dance Party. 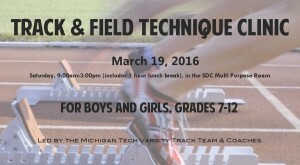 – Michigan Tech’s Track and Field team and coaches host a Track and Field Technique Clinic for boys and girls grades 7-12, Saturday from 9 am to 3pm in the SDC Multipurpose Gym. 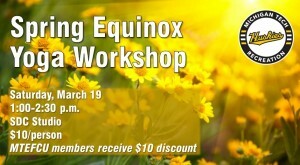 – Celebrate the transition from winter to spring at the Spring Equinox Yoga Workshop Saturday from 1 to 2:30pm in the SDC Studio. 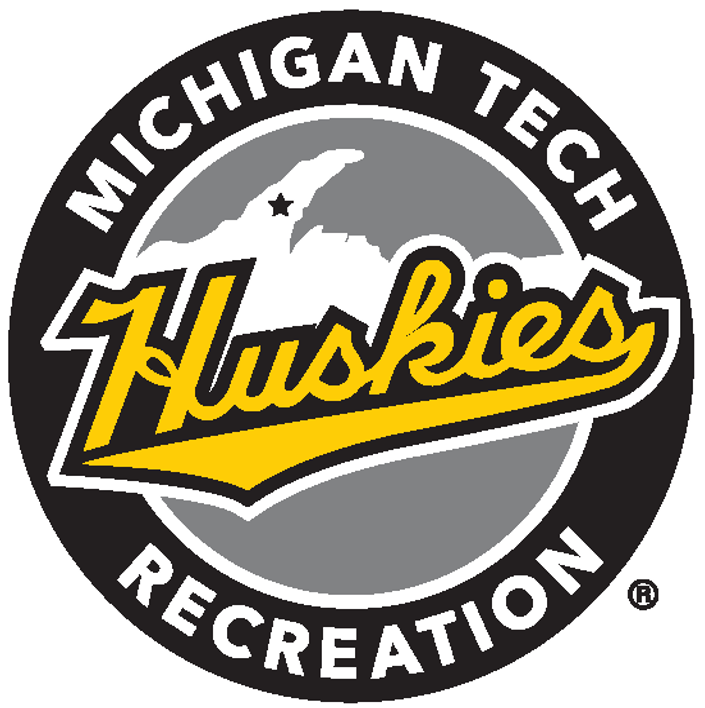 For more information on these and other upcoming events, visit Michigan Tech Recreation. 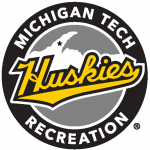 Several youth HuskiesFit Program classes will begin their second session within the next week. Sign your Little Husky up for one of the following today: Swimming, Aikido, Ballet 1-3, Creative Movement 1 and 2 and Tumbling. 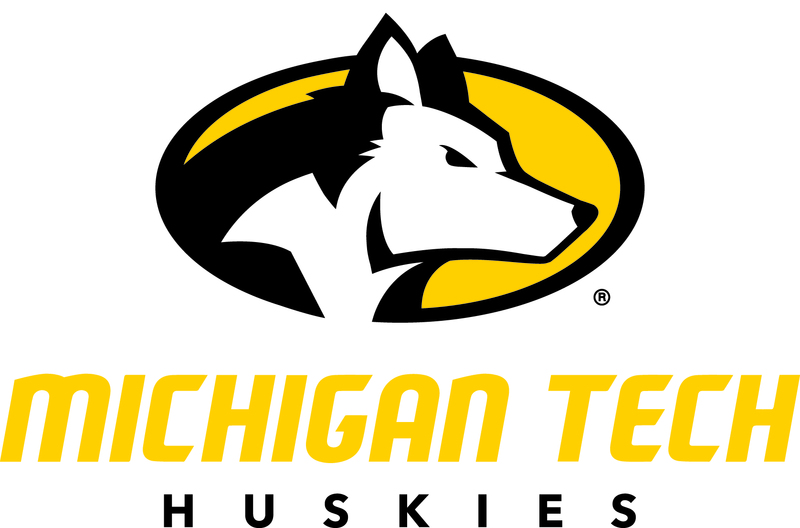 Michigan Tech benefits-eligible employees may use TechFit to pay for HuskiesFit Programs. Discounts are also available for SDC annual members and siblings attending the same program. 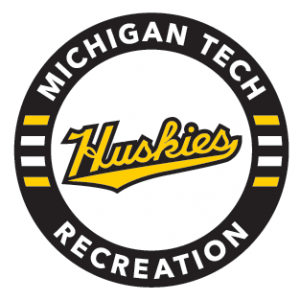 For more information, visit HuskiesFit Programs. Commit to be HuskiesFit! 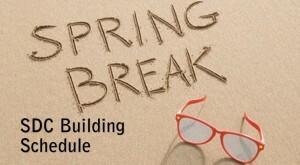 The Student Development Complex will have reduced building hours during spring break. Visit spring break hours to view the complete schedule.